Short strip collections for acclaimed cartoonists are plentiful these days now that it’s common practice, once a cartoonist has built a readership, for the next book to include the phrase, “And Other Stories.” Joe Sacco, widely regarded as a pioneer and the crowning presence in the small field of comics journalism, has been to that well three times now (not counting Journalism, the gathering of his more seasoned short pieces), and Notes from a Defeatist is the latest and most complete, including out of print work from the entirety of War Junkie, a representative chunk of But I Like It, and a sizeable amount of material not previously packaged. Many who have read his reports from around the world will be pleasantly surprised to read the looser, wider-ranging work contained here. 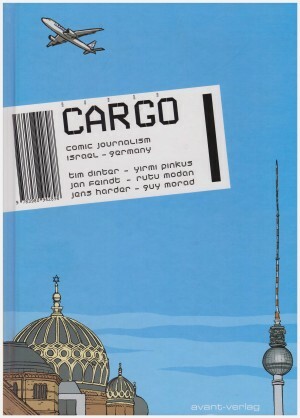 It serves as the chronicle of Sacco developing his chops and finding his voice before emerging as the powerhouse creator of such works as Palestine and Safe Area Gorazde. 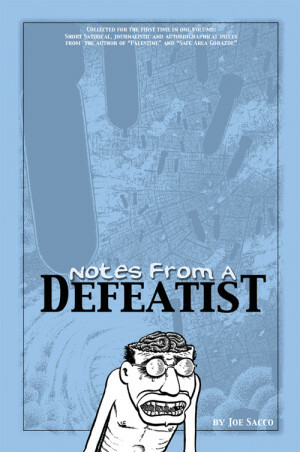 Notes from a Defeatist is organized in discrete sections by theme. 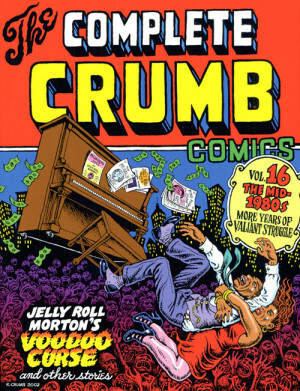 Starting with ‘Eight Characters’, Sacco channels R. Crumb via lampooning various political and social types, utilizing a more spare (for Sacco) bigfoot style of cartooning. The comedy here hits you over the head, but for that, he rarely misses his targets. Next is the much-reprinted ‘In the Company of Long Hair’, Sacco’s reports from a European tour of rock band the Sweet. This sequence of strips mostly involves the ensemble’s attempts at sexual conquest where the page just explodes – curving, looping, word balloons and narration everywhere, exaggerating figures and backgrounds. They are an inventive, kinetic wonder. It’s inspiring watching Sacco break so many rules to such great effect. Later, he experiments with several pieces that run narration along the right or left sides of a striking full-page image. First is a rambling travel story with art so covered with OCD lines and cross-hatching, it looks like he was sketching in the dark. The other is ‘When Good Bombs Happen to Bad People’, an admirable attempt to chronicle how and why war makers decide to carpet bomb civilians. Unfortunately, by using an exhaustive litany of quotes while leaving out any context, the piece is disjointed and tiring to wade through. Several more overtly political pieces are more successful and more in line with the Sacco we’re familiar with, especially ‘More Women, More Children, More Quickly’, a gripping child’s-eye-view of war in Malta 1935-1943 as recalled by Carmen Sacco, Joe’s mother. The rest of the collection is a variety of Sacco’s autobiographical anecdotes – a rock party, working at a library, someone interesting he knew in college, his obsession watching war coverage and the like – told with compelling energy and increasing skill. 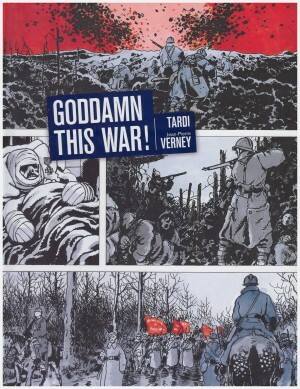 Reading through the second half, you notice Sacco mixing and recombining techniques and themes from earlier strips. 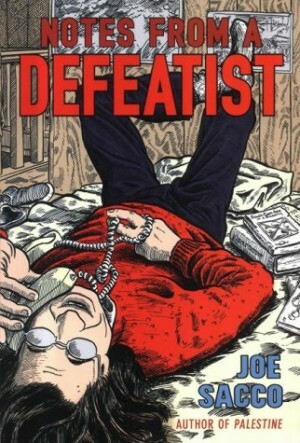 The book as a whole tracks Sacco’s journey to finding his voice and becoming the master cartoonist we know today. While his greatest was clearly to come, the work here is good to excellent and deserves to be read. One of the great thrills of comics is watching an artist grow, progress and perfect his or her craft over time. It can happen over years or within the pages of a single book. 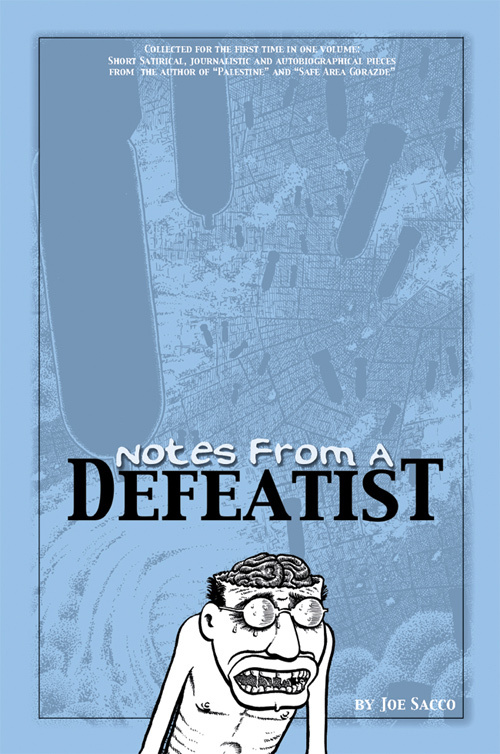 Notes from a Defeatist has done a great service to fans of Joe Sacco by diagramming the fits and starts of his rise to greatness, and the resulting package is a full, rewarding meal of comics. Sacco’s “early work” is more accomplished than many artists’ strongest.